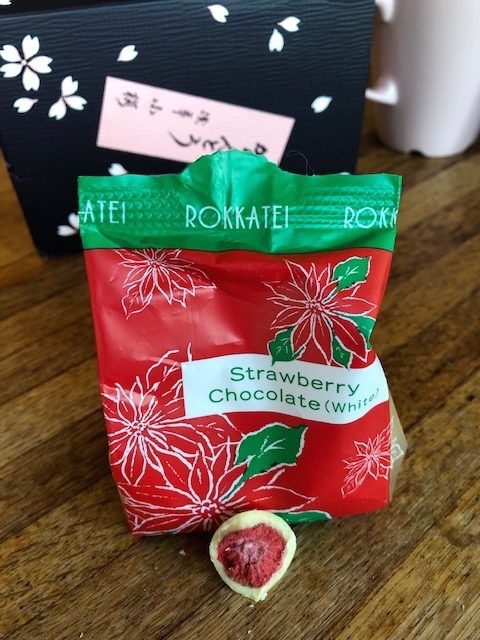 Just sampled some strawberries in white chocolate from Japan this afternoon for lunch (picture below). What's interesting is how dehydrated the strawberries are inside, they couldn't be bigger than the tip of my pinky finger. Great texture though, the berries basically dissolve in one's mouth. Suspecting that these tiny little berries are in fact alpine strawberries Fragariae vesca, I asked my wife but she assured me that these are indeed normal strawberries, the ones we know as Fragaria x ananassa. Reading the package didn't help since it just says 乾燥イチゴ, or "dried strawberries". I didn't realize freeze drying would result in such a terribly small fruit. Anyway, if you get the chance, try them, they are quite good. Freeze dried strawberries in white chocolate from Japan. 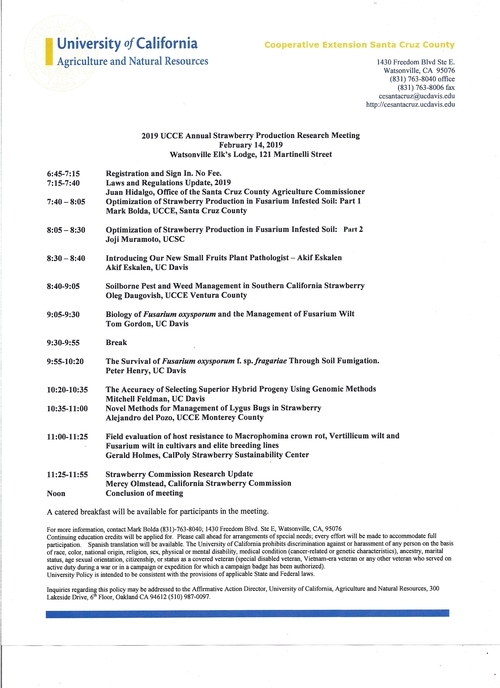 The 2019 UCCE Annual Strawberry Production Research meeting for the Central Coast is set to take place February 14 at the usual location at the Elk's Lodge in Watsonville. 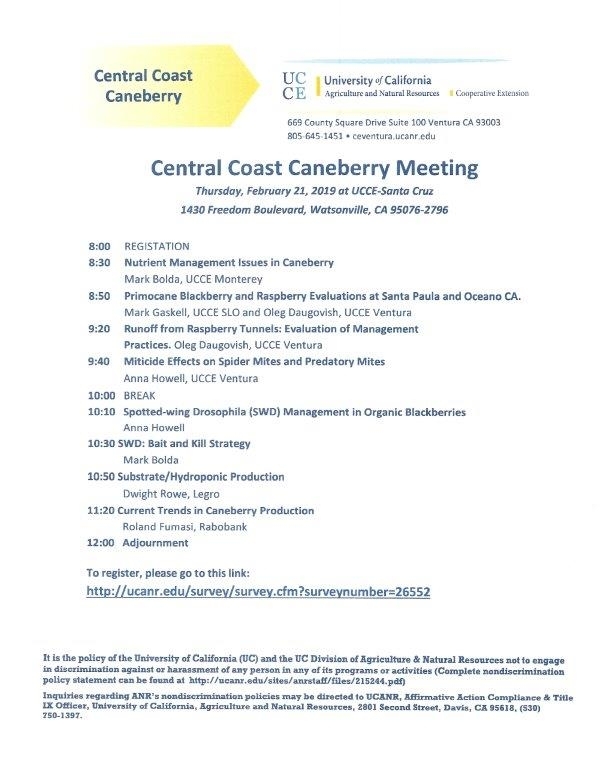 Even a cursory glance at the agenda below informs one that this is not your grandfather's (or your father's, for that matter) extension meeting! Back to back presentations by the best researchers in the business, all new data on topics of extreme importance to the industry. Personally, to take the full advantage, I'd be sure to get a full eight hours of sleep the night before and bring a thick notepad. Get there early too because attendance at this quality of meeting is certain to be very strong.